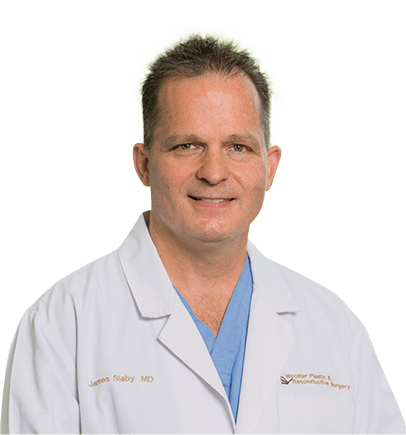 James Slaby, MD, Plastic and Reconstructive Surgeon, received his medical degree at Medical College of Ohio in Toledo, OH. He completed his residency in General Surgery at Rush-Presbyterian St. Luke’s Medical Center in Chicago, Ill. He received a fellowship in Plastic Surgery with Medical College of Ohio in Toledo. He is certified by the American Board of General Surgery and the American Board of Plastic Surgery.